IP addresses are unique identifiers designated for everything traveling across the internet. These are markers that help an email reach the desired recipient and load videos based on your geolocation. Although it was invented at a time when there were no online hackers or spies, these are very real threats in the times we live in now. Keeping this in mind, giving access to your IP address to anyone on the internet can also give them access to your precise location. IP address tracking is happening on a large scale, including by some government agencies, so it’s nothing new. However, what if someone with malicious intent is trying to steal your IP? Well, there are certain safeguards that you can adopt to make sure it doesn’t happen to you. Known as a VPN or Virtual Private Network, these services give you the ability to get a new IP address from a completely random location, thus diverting everyone from your online trail. VPNs are becoming the norm now especially with all the high level snooping going on in some countries. There are VPN offerings for smartphones, tablets, and PCs, well basically for any device that can connect to the internet. It is highly recommended to get these, even if you have to pay a small amount to make sure your online presence is safeguarded. With this in mind, let’s get you started on setting up a VPN with a unique IP address. There are some key concepts that you need to know before you get started on setting up a VPN provider. It always helps to check with multiple providers till you hit the sweet spot. There are a myriad of VPN providers out there who have something to offer, but we have a couple of recommendations to make based on our own experiences, but we’ll get to that later. Once you have picked the VPN provider of your choice, it’s as easy as installing the app or software on your phone or computer and following the onscreen steps. You will be prompted to login, which we highly recommend you to do in order to get the best out of the VPN. Beyond this, you simply have to pick the location ideal to you and start browsing. Your IP will automatically change once you’ve finished the process. It’s pretty easy to work with, and once finished, you will be able to browse content from practically any country, which is the real advantage of having VPNs. I personally feel that VPNs are better suited to access blocked content from certain regions. Once you’ve setup the VPN and gone through the steps we spoke about above, you have to test your connection for any leaks or security loopholes. This can be done by heading over to ipleak.net, which will give you a detailed rundown of your IP address. Using the geolocation feature on this site, you will be able to ascertain your location based on the server you’ve chosen. If it shows your actual location, then there’s something wrong with the VPN you’re using. However, if it shows you in the country that you’ve chosen on the VPN, you’re good to go. While having a shared private IP isn’t harmful to your privacy, it does have some limitations. Mainly, if someone on the shared VPN IP gets banned, this could impact others who are sharing that IP. Keeping this in mind, it’s always better to get a unique IP address suited for you and you alone. This means no one else on the face of this earth will share that IP with you, and you will be able to use it on your devices (phones, computers etc). Several VPN providers offer the ability to create custom IP addresses, and we’re going to talk about a couple of them below. This is one of the most preferred private VPN offerings in the world right now. NordVPN has access to 2987 servers in over 56 countries, making it a giant in terms of servers. This also means you get the best bandwidth and location preference compared to any other provider out there. All the standard features like DNS leak protection, a dedicated kill switch, and 256-bit AES encryption is present here, so security and anonymity are paramount for the providers of NordVPN. Add features like double encryption, DDoS protection etc to make sure there are absolutely no worries with regards to hacking or malware attacks. Perhaps this is why NordVPN is one of the highly recommended offerings available in the market right now. What makes this offering even better is that it’s significantly cheaper than the VPN provider we mentioned above. NordVPN has a special 2-year plan which will offer you services for as low as $3.29 per month ($79 billed every 24 months). This is incredibly cheap and affordable considering the pricing quoted by other VPN offerings. The 1 month and 1 year plan will set you back by $11.95 and $5.75 respectively. If you’re unsatisfied with NordVPN’s services, the company even offers a 30-day money back guarantee. 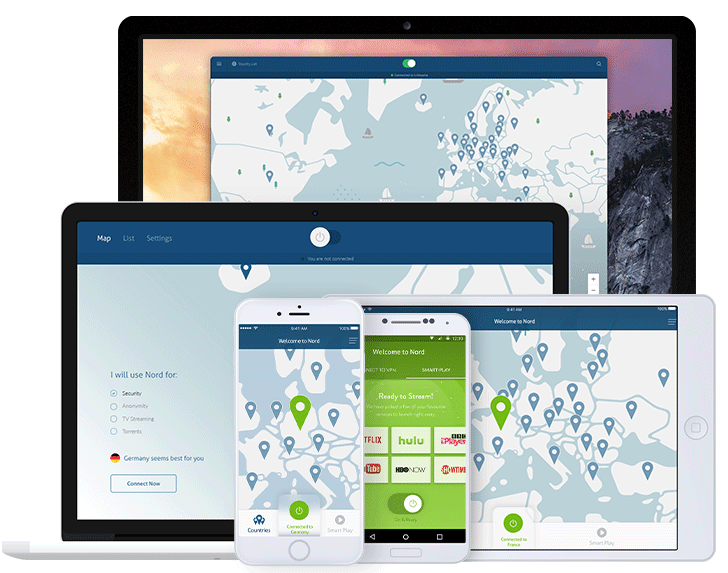 As far as VPNs are concerned, we personally don’t think it can get any better than NordVPN. This comes highly recommended from us as well as a handful of other experts in the industry. This service comes highly recommended given the kind of features it offers to its users. IPVanish offers more than 850 servers which come with 256-bit AES encryption as well as DNS leak protection. The company also follows a zero logging policy on all traffic, so you can be ensured of keeping your data safe from prying eyes. Naturally, IPVanish also lets you create unique IP addresses that are limited only for your use. All downloads are anonymous, so it’s clear that the company is going to massive lengths to make sure your privacy isn’t compromised. 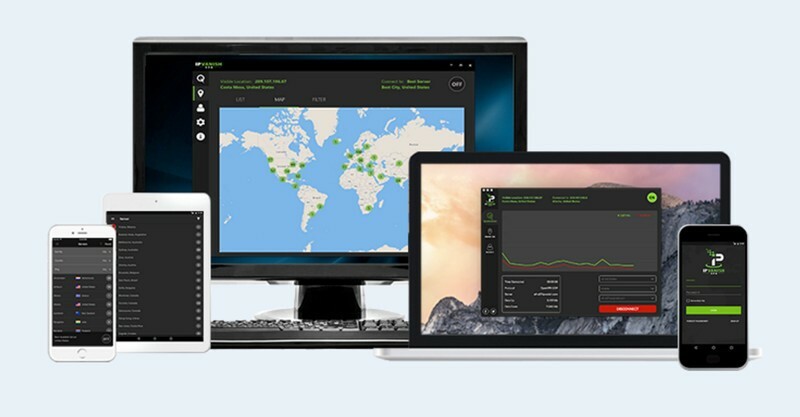 IPVanish also offers a perfect blend of privacy and fast bandwidth, the two things that every VPN user is looking for. The pricing tier is pretty attractive as well. You can get the company’s 1 year plan for as low as $6.49 per month ($77.99 annually). However, if you strictly want the subscription on a month to month basis, you will have to shell out $10 per month (1 month), or $8.99 per month (3 months – $26.99). We definitely recommend trying out the service for a month and then get the yearly subscription. Be sure to check out IPVanish. I wholeheartedly agree! NordVPN is a quality service, that I had good fortune to try. I am very lucky indeed hearing about terrible experiences many people have with other providers. You cna find countless such stories on the internet.